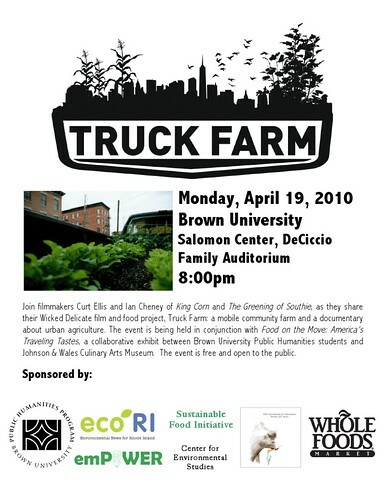 On Monday, April 19th at 8:00 p.m., filmmakers Curt Ellis and Ian Cheney of King Corn and The Greening of Southie will appear at the Brown University Salomon Center for Teaching, DeCiccio Family Auditorium to share their latest food and film project, TRUCK FARM. The event is free and open to the public. Their stop in Providence is one in a 1200 mile tour along the eastern seaboard, where Ellis and Cheney are hitting the road with their public art project TRUCK FARM – a rolling garden they’ve installed in the back of a vintage pickup. 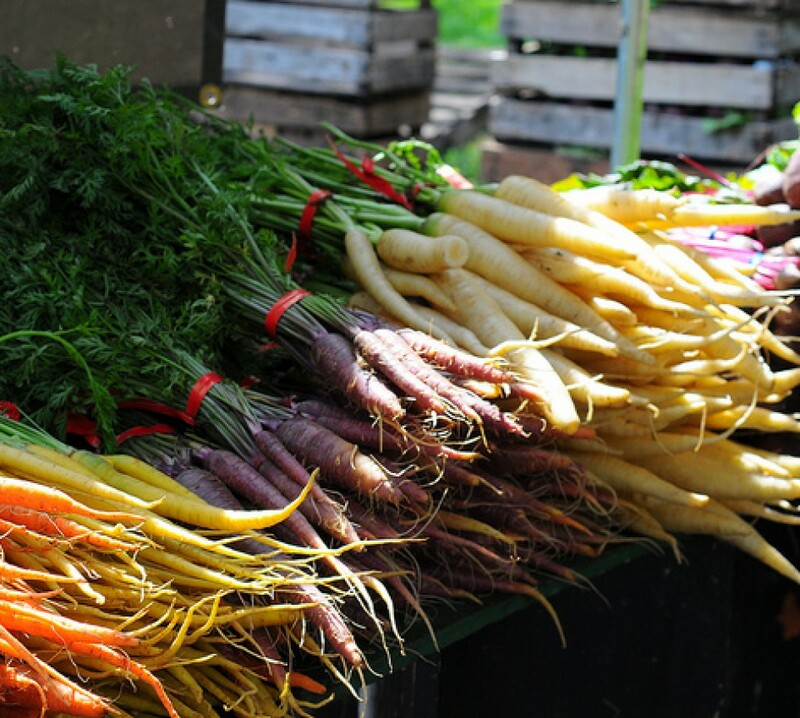 While at Brown, Ellis and Cheney will speak about the importance of sustainable and local agriculture and share segments of their work-in-progress TRUCK FARM film. Mike and I are going to try hard to check this out – hopefully we’ll see you there? Thanks to Erin over at Small Bites RI for giving me the heads-up about this event. Maggie – I certainly will! erin – Thank you, and I look forward to meeting you on Monday!